Continuous Glucose Monitoring (CGM) is a method to track glucose levels throughout the day and night. 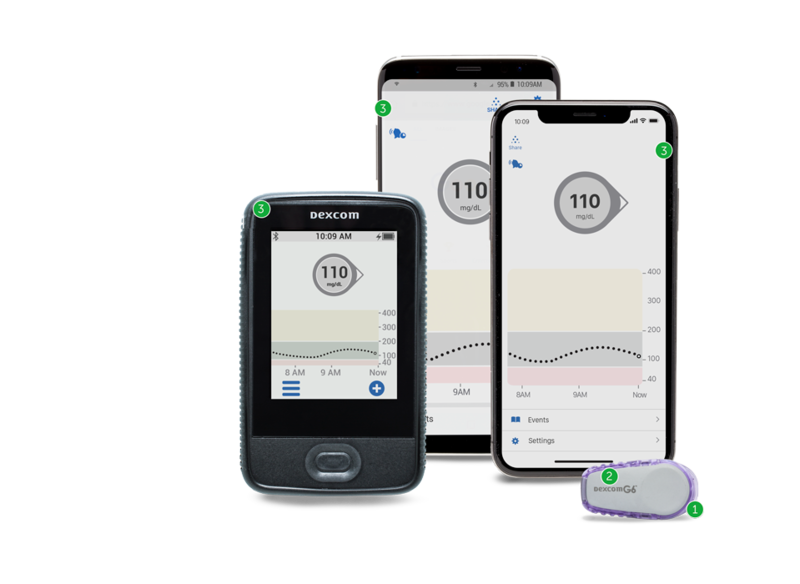 CGM systems take glucose measurements at regular intervals, 24 hours a day, and translate the readings into dynamic data, generating glucose direction and rate of change reports. Having this context helps CGM users proactively manage glucose highs and lows, plus gives added insight into impacts that meals, exercise and illness may have on an individual’s glucose levels. CGM can also contribute to better diabetes management by helping to minimize the guesswork that comes with making treatment decisions* based solely on a number from a blood glucose meter reading. Continuous Glucose Monitoring (CGM) systems track glucose levels throughout the day. CGM users insert a tiny sensor wire just under their skin using an automatic applicator. An adhesive patch holds the CGM sensor housing in place so the sensor can measure glucose readings in interstitial fluid throughout the day and night. A small, reusable transmitter connects to the sensor wire and sends real-time readings wirelessly to a receiver, so the user can view the information. With some systems, a compatible smart device with the CGM system app can serve as the display device. The receiver or compatible smart device displays current glucose levels, as well as historical trends in levels. 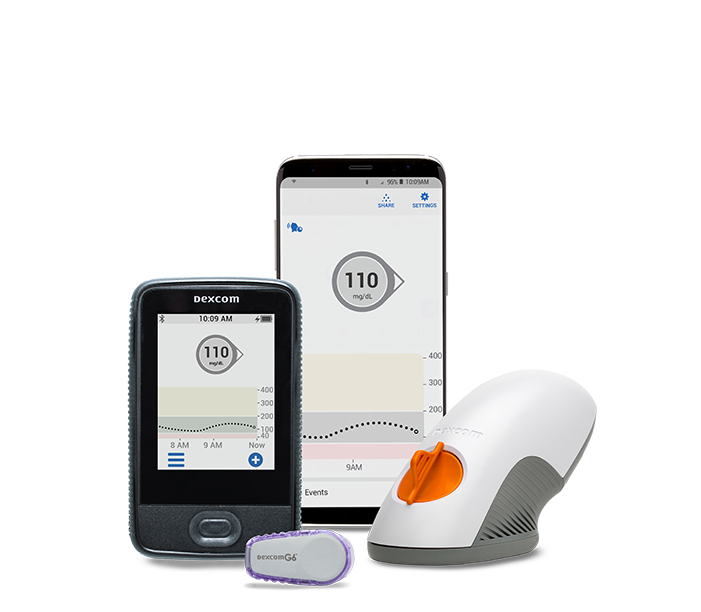 The CGM receiver and/or compatible smart device can also be set to send custom alerts to the user when certain glucose thresholds are reached. Unlike a blood glucose meter (BGM), which provides just a single glucose reading, CGM systems can provide real-time, dynamic glucose information every five minutes — up to 288 readings in a 24-hour period. You can gain valuable insight about your glucose levels, rate and direction of change, giving you additional insight to proactively manage your diabetes. The Dexcom CGM system is equipped with alerts that can warn you of approaching lows and highs. The Dexcom CGM also provides customizable alerts to warn the wearer of approaching glucose highs and lows. Dive into the select CGM episodes below to learn more about the value and benefits of CGM. Patients with type 1 diabetes may benefit from using a Continuous Glucose Monitoring (CGM) system. CGM may benefit patients with type 2 diabetes on multiple insulin injections, basal insulin, or sulfonylureas. Patients that are at risk for hypoglycemia and/or have hypoglycemia unawareness may benefit from using a CGM. † Click here for a list of compatible devices. ‡ Dexcom receiver is included in system, smart devices sold separately. 1 Soupal J, Petruzelkova L, Flekac M, et al. Comparison of Different Treatment Modalities for Type 1 Diabetes, Including Sensor-Augmented Insulin Regimens, in 52 Weeks of Follow-Up: A COMISAIR Study. Diabetes Technol Ther. 2016;18(9):532-538. 2 Juvenile Diabetes Research Foundation Continuous Glucose Monitoring Study Group. Continuous Glucose Monitoring and Intensive Treatment of Type 1 Diabetes, N Engl J Med. 2008: 359(14); 1464-1476.